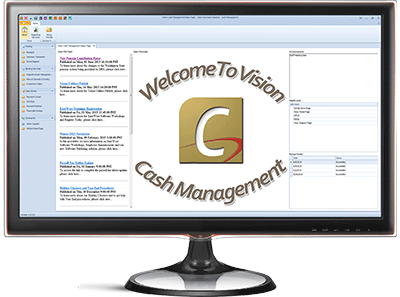 Vision Cash Management provides a scalable solution to your cash receipting needs. Vision Cash Management provides a single source to securely control all receivables and safely distribute transactions across your organization in real-time. Security and data integrity are inherent in our architecture by leveraging the power of Microsoft SQL Server. Leveraging the power of Microsoft .Net, Vision Cash Management seamlessly Interfaces with a wide range of peripherals, including cash drawers, receipt printers, scanners, and VISA stripe readers leaving behind the connection problems of the past. 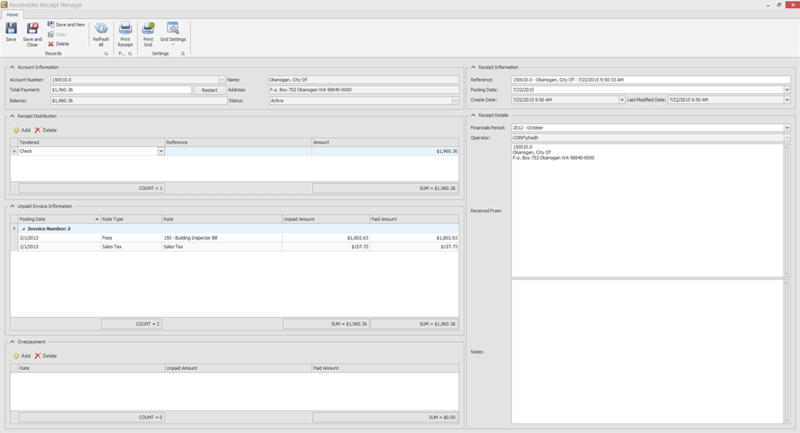 Transaction triggers record every aspect of a transaction and intelligent reporting provides the audit tracking for financial accountability. 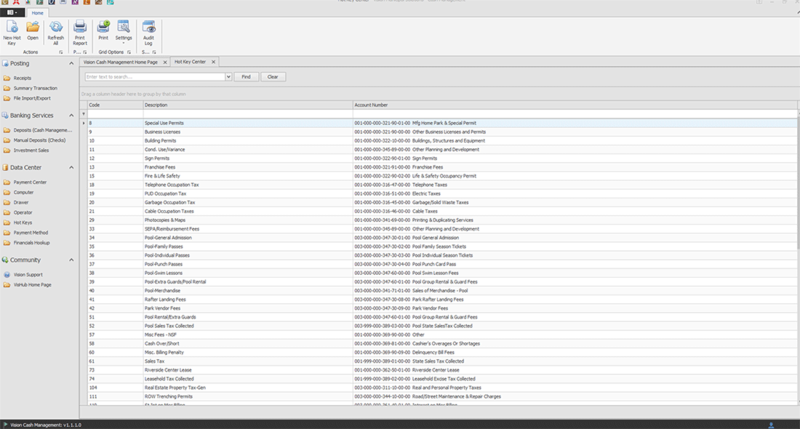 Review your Receipt History for all of your applications in one Data Center. 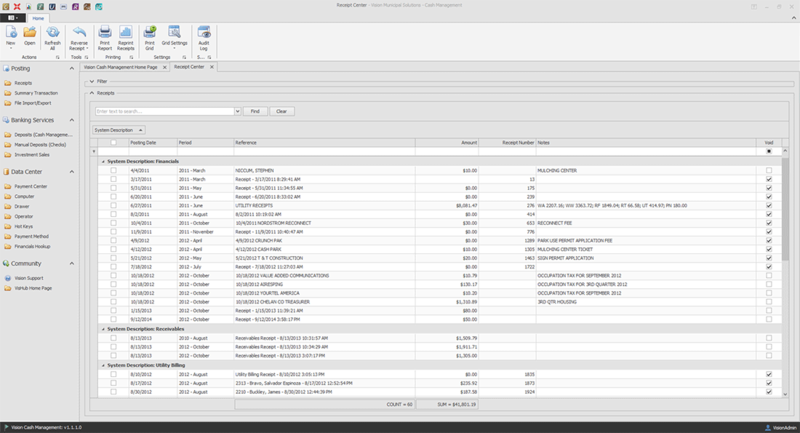 Create new receipts with ease, for every application. 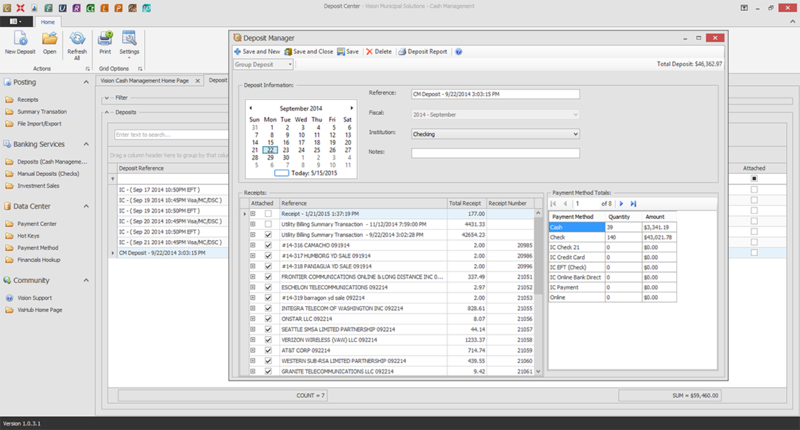 Prepare your daily, weekly, or monthly reconciliation, in an easy left to right wizard.